A popular destination year-round, the Caribbean is most popular during those months when our northern sisters are wanting a break from the chili temperatures. Come join us and experience this wonderful Western Caribbean itinerary. Whether you choose to have some fun-in-the-sun or immerse yourself in some ancient history and mystery, you can have both on this trip. 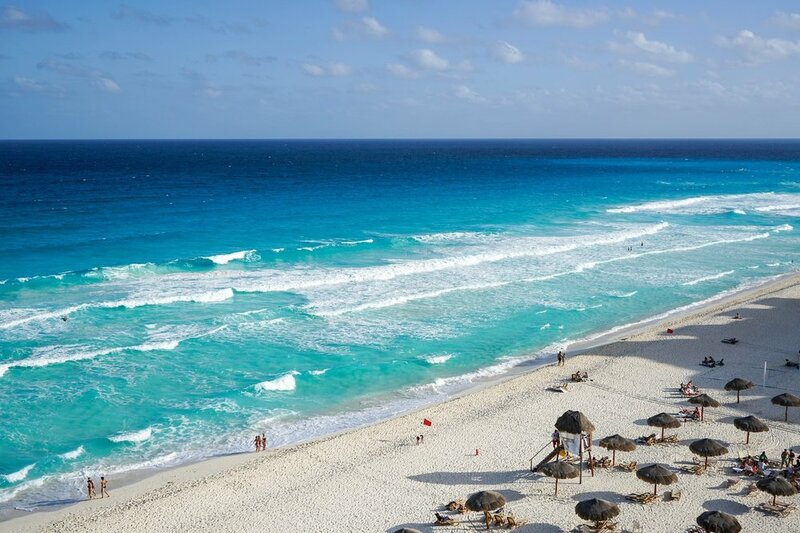 We'll be visiting two of Mexico's most popular vacation cities; Costa Maya and Cozumel. 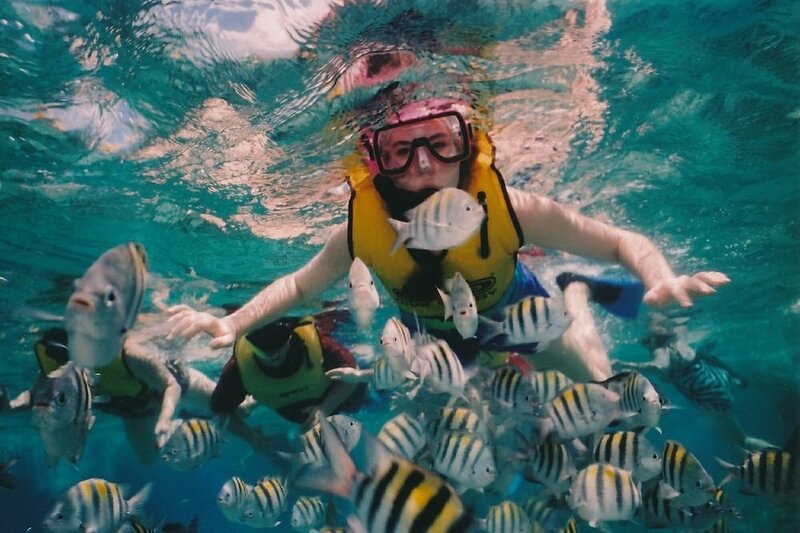 We'll also spend a day in Roatan, Honduras. Popular in these south-of-the-border cities are the many wonderful beach clubs where you can eat, drink, and soak up the rays. For something less sedentary, you might enjoy deep sea fishing, a Dolphin Discovery, a Segway tour, jungle zip lining, or perhaps a guided tour of the areas' historical sites. There are lovely botanical gardens, shark, stingray, and whale encounters, and you can even learn how to play a steel drum. As wonderful as these cities are, our favorite destination on this cruise has to be Belize. Once a British colony, this English-speaking, recently emancipated country is rich in Mayan history. We recommend spending the day taking a riverboat far into the interior, where you can visit an entire Mayan city. See their shopping markets, their sports stadium, even where they performed their live sacrifices. You can even climb to the top of a magnificent temple that took the Mayans 300 years to build. On this seven-night cruise, we'll be traveling on the Rhapsody of the Seas, one of Royal Caribbean's lovely mid-sized ships. It sails at 4:00pm on Saturday, February 23, 2019 from the port of Tampa, Florida. It will travel west across the Gulf of Mexico for about 36 hours, giving us an opportunity to enjoy the ship's many fun activities, entertainment, even educational classes. Or perhaps you'd prefer to spend some time in the luxury spa or just relax at the pool. If you think that 36 hours just isn't enough time to enjoy the ship? Don't worry. You'll have about the same amount of time on the return trip across the Gulf. Accompanying you on this cruise will be one of your own Fab Women Over Fifty, and the owner of One Moon Travel, Lyn Fried. An experienced cruiser, Lyn will act as your onboard coordinator. You'll first meet her at the first-night Meet & Greet where you’ll have an opportunity to say hello to the other Fab Women on this luxury adventure. Lyn will also organize fun onboard activities, a few group meals, and be with you should you decide to join in a group tour or excursion. Participation in group gatherings and activities is completely optional. Please feel free to do your own thing and join the group whenever you like. The first 16 cabins booked are guaranteed these prices. Plus receive a $50 per cabin Onboard Credit. Upon Booking, a deposit of $500 per cabin will be required with the balance due by November 25th, 2018. Q. Can I bring someone with me? A. Of course you can. They don't have to be a member of the group. They don't have to be female. They do have to be fabulous. And they do have to be an adult (age 18 or older). Q. Besides the price of the cruise, what other expenses can I expect? A. You'll have to get yourself to the port (car, flight, etc.). Drinks such as wine, beer, cocktails are not included. Also, bottles and cans of soda, juices, and water are extra. WiFi is available but not free. Gratuities are expected. While all of your shipboard meals are included in several venues on the ship, you may wish to try one of the Specialty Restaurants, which come with a modest up-charge. You may want to budget for a couple of spa treatments, a mani-pedi, perhaps even have your hair done. While you're welcome to explore each of the ports of call on your own (or with some of your sister-travelers), guided tours and excursions might be an attractive way to go, and they vary in price. Q. Do I need cash on the ship? A. While onboard, no need to carry cash or credit cards. Your cabin keycard also doubles as your charge card. Just sign for any and all purchases. They'll charge your credit card at the end of the cruise. A. If you purchase a drink anywhere on the ship, or dine in one of the Specialty Restaurants, your bill will come with a gratuity already included. Just sign for it and your done. As for the Main Dining Room staff and your cabin porter, the cruise line will recommend an appropriate flat amount of gratuities for the entire trip. This amount varies a bit, based on the cruise line and the type of cabin you have, but its in the vicinity of about $15 per passenger, per day (about $100 for the week). At the end of the cruise, if you agree that the staff deserves that amount, just do nothing and the ship will charge your credit card and distribute the tips accordingly. Q. Will I need a passport? A. If your cruise begins in an US port and returns to that same US port, you are not required to use a passport (although we strongly recommend you carry a passport anytime you leave US soil). Passengers 16 years or older, not using a passport, will need BOTH a government-issued picture ID (like a driver's license) AND an original birth certificate or certified copy. If using a passport, it must be valid for at least six months past the end date of the trip. Q. Can I cancel the cruise and get my deposit back? A. Yes. You may cancel all the way up until the 'Final Deposit Due Date' (which is typically 60 - 120 days prior to the sailing date). However, if you cancel after that date there is a schedule of penalties, depending on how close to the sailing date you cancel. Q. If I bring a friend on the cruise do we have to share a bed? A. Not unless you want to. Every cabin can be configured with two twin beds. If you prefer a king or queen bed, they simply put the twin beds together with a special cover (so you don't feel the seam) and it's done. Q. Will I need a power converter for my phone charger and other electronics? A. Most ships have special outlets that handle multiple types of plugs. However, we recommend bringing one quality converter and one multi-plug travel power strip. Q. What if I have a last-minute emergency that prevents me from going on the cruise? A. If you cancel too close to the sailing date, the cruise line will not refund your money, which is why it is strongly recommended that you purchase cheap Travel Insurance for just that reason. If you have a covered medical issue, legal issue, family issue that prevents you from traveling, the policy will refund most or all of your lost expenses. Your cruise agent can handle that for you. Q. What if I get ill or injured while on the trip? A. The ship has a medical facility and staff to handle all sorts of minor and even major events. But their fees are similar to an urgent care center back home (not cheap). Q. Will my health insurance cover me while I'm out of the country? A. If you live in the United States it is unlikely that your health insurance will cover you while you are out of the country. That's another reason affordable Travel Insurance is an important consideration when you spend any time outside your own country. It's inexpensive and can save you from a catastrophic event. Talk with your cruise specialist. If you live outside of the USA please check with your own health care coverage provider. Q. I've never been on a cruise. What should I do to learn what I should know? A. Funny you should ask. After reading this list of Q's and A's, you'll know about 50% of what you should. To get another 30% visit our Top Tips page. And then call us for the last 20%.